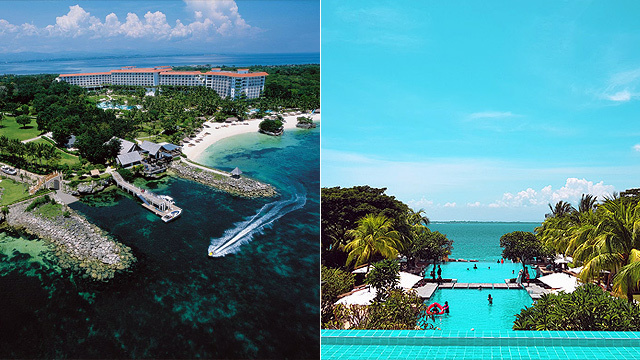 Here's why you should check out this pearl-shaped island. (SPOT.ph) Camiguin, a province off northern Mindanao, is synonymous to the lanzones, which is native to the island. But you need not wait that long to experience the proverbial sweet life because you can enjoy this tropical paradise any day of the year. From lazing around on white-sand beaches to taking a dip in cold springs, here are 10 of the most exciting things to do in Camiguin. The province’s most photographed attraction, this immaculate white sandbar is ideal for lazing under the sun or snorkeling in the crystalline azure water. Go there just before dusk and get ready to watch one of the most beautiful sunsets you’ll ever see. It also offers front row seats to the picturesque view of Mt. Hibok-Hibok and Mt. Vulcan. The jump-off point to White Island is located in Barangay Yumbing. 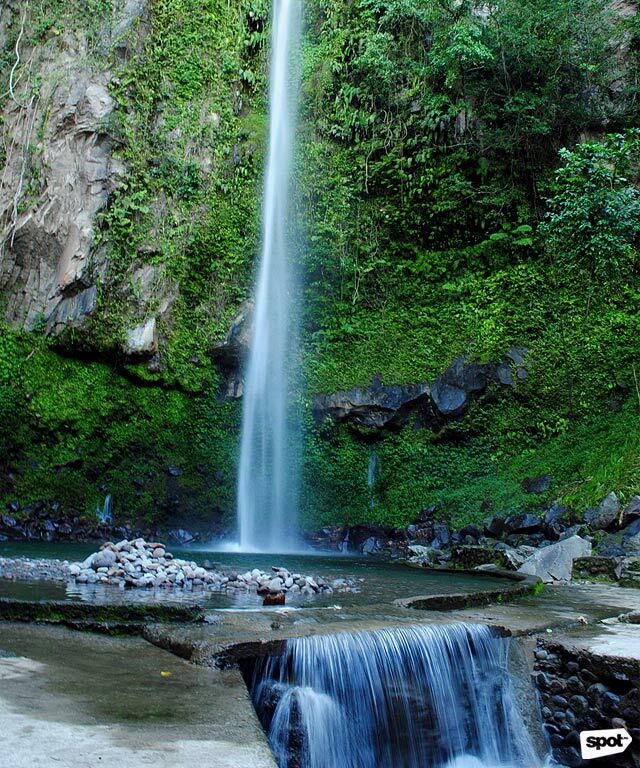 Tucked in Mambajao’s verdant forests, this 250-foot waterfall cascades from the boulders of Mt. Timpoong and drops to a natural basin where you can take a dip. You can also get a natural massage just by letting the water fall on your back. Don’t forget to munch on some sweet kiping, a local cassava delicacy that they sell in small kiosks before the gate. 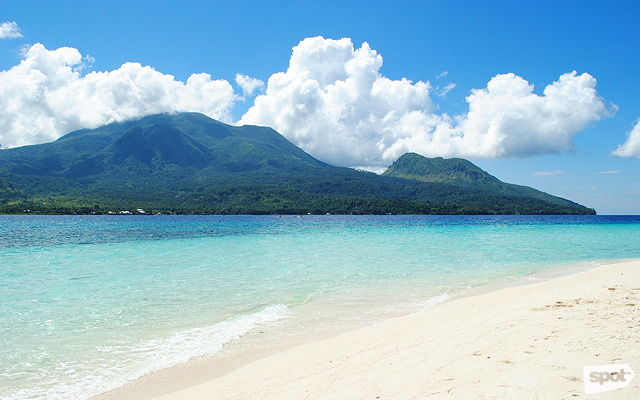 Camiguin, also known as the “Island Born of Fire,” has seven volcanoes and several volcanic domes within the pearl-shaped island—which was also formed through volcanic eruptions. With this topography, it is no wonder that it has a number of hot-spring resorts, including Ardent Hot Spring. Water temperature reaches up to 40 degrees Celsius, which makes it an ideal spot for relaxation after a long tour of the island. Mist rises from the heated water that run down the vents from the active Mt. Hibok-Hibok. 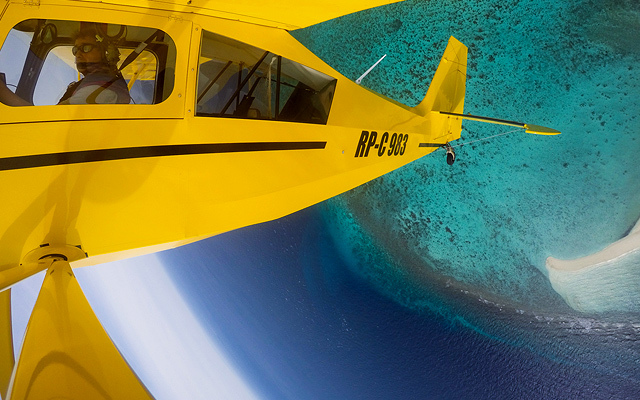 Tap into your inner thrill-seeker and go on a flight aboard a single-engine Super Decathlon 8KCAB plane by Camiguin Aviation. A one-hour sightseeing package (P16,000) takes you around sandbars, the peak of Mt. Hibok-Hibok, and the rest of the island’s scenery. If you’re lucky, the pilot might even give you the chance to fly the plane—not by yourself, of course. 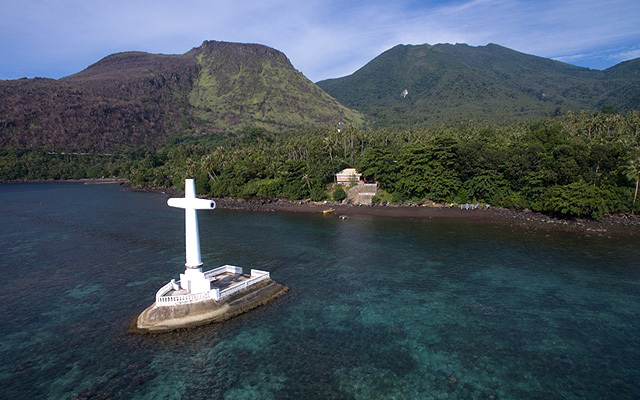 One of the most photographed sights in Camiguin is the large white cross that marks the cemetery driven underwater during the eruption of Mt. Vulcan in 1871. More volcanic activity persisted until 1875, burying parts of Bonbon town in the municipality of Catarman and leaving only the ruins of the ancient San Roque Church. The volcano erupted again in 1948, which completely buried the cemetery. The cross was built in 1982 above the solidified lava to mark the old gravesite. If you're feeling brave, you can snorkel around the shallow area and see the underwater graveyard. The cemetery, along with the ruins of the church, were declared as a National Cultural Treasure by the National Museum of the Philippines in December 2018. Right across the Sunken Cemetery is a 1,000-step staircase called the Panaad Walkway, which goes all the way to the summit of Mt. Vulcan (a.k.a. Old Volcano). 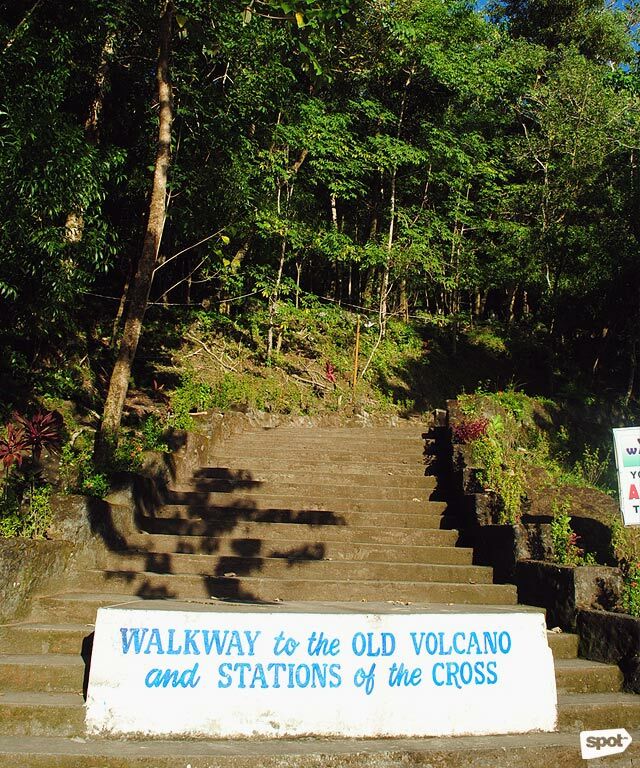 Because of the life-sized images of the 14 Stations of the Cross, it is often the culminating point of the Lenteen Panaad Pilgrimage in Camiguin. 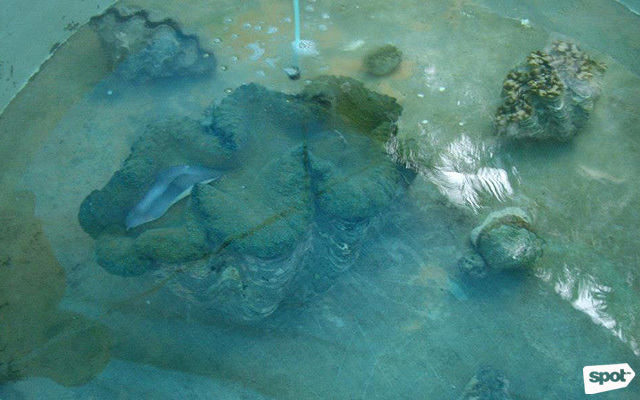 At the summit, you can have a panoramic view of the underwater graveyard and surrounding mountain ridges. 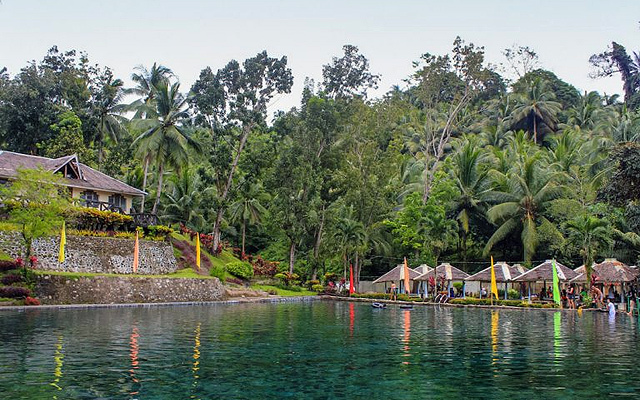 While Camiguin has a number of hot springs on the east side, there are also cold springs on the opposite end of the island. 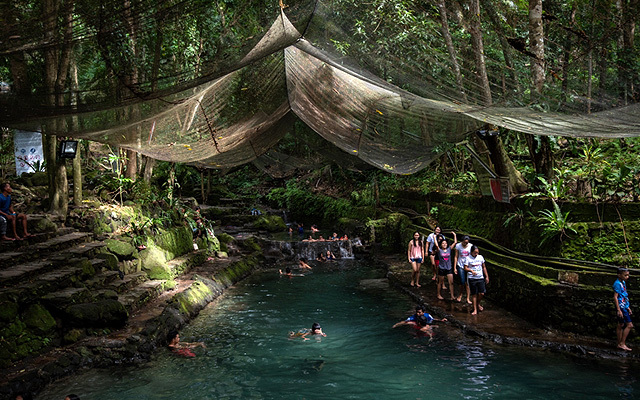 One of these is Santo Niño Cold Spring in the town of Sagay, which is more than two kilometers off the national highway in Catarman. The water in this natural pool flows down from Mt. Mambajao and is filtered by layers of minerals from the mountain. The main pool’s depth ranges from four to eight feet, while a smaller pool beside it is ideal for kids. The Giant Clams Sanctuary in Sitio Kibila in Guinsiliban not only lets you snorkel around its giant clam garden—with a guide for safety—but also teaches you about various species of clams and how they live at the bottom of the sea. 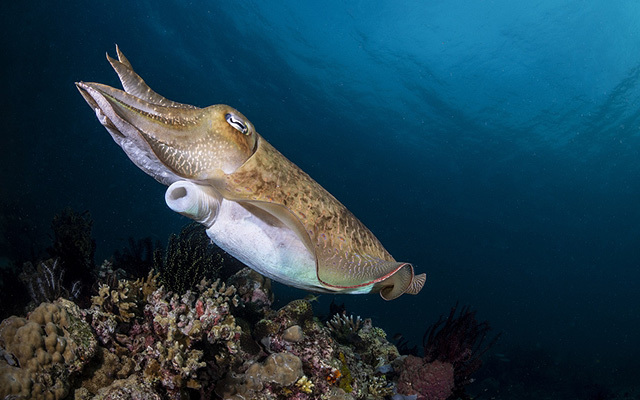 More importantly, they give short lessons on the ecological significance of these marine creatures, from providing food and nutrients to schools of fish to maintaining the health of coral reef systems. Taguines Lagoon Aquasports and Recreational Facility in Mahinog offers a number of activities for the adventurous traveler. 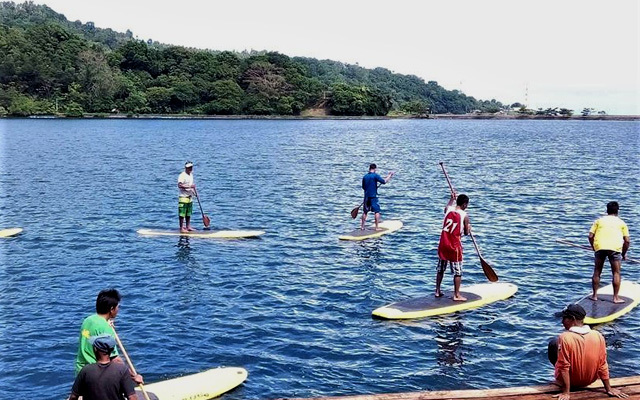 You can ride a kayak, drive a pedal boat, tumble around on a Zorb ball, exercise your core on a stand-up paddleboard, and glide across the cove on a zipline. You can also check out aquaculture cages where green mussels and milkfish are bred. Mantigue Island Nature Park and Sanctuary, which is located 3.5 kilometers off the coast of Barangay San Roque in Mahinog, is a diving mecca for lovers of the deep. You can snorkel in the shallow areas or go scuba diving or freediving for a better look at the island’s rich aquatic life. Beach bums can go sunbathing on the bright white sand or enjoy seafood freshly caught by the locals. 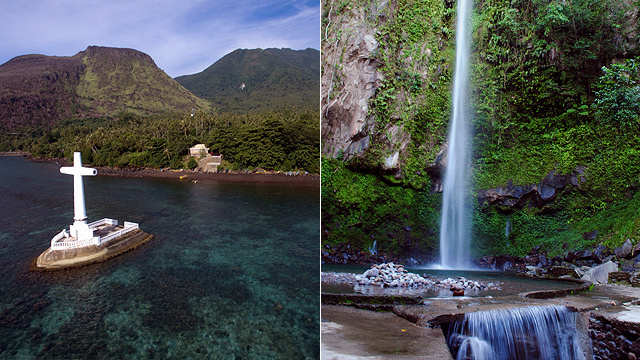 How to get there: There are no direct flights from Manila to Camiguin, but you can book a connecting flight via Cebu. Alternatives include flying from Manila to Cagayan de Oro then taking a ferry from either Macabalan Port or Balingoan Port to Benoni Wharf in Mambajao; or traveling by air from Manila to Bohol, by land to Jagna port, and by water to either Balbagon Port or Benoni Wharf.